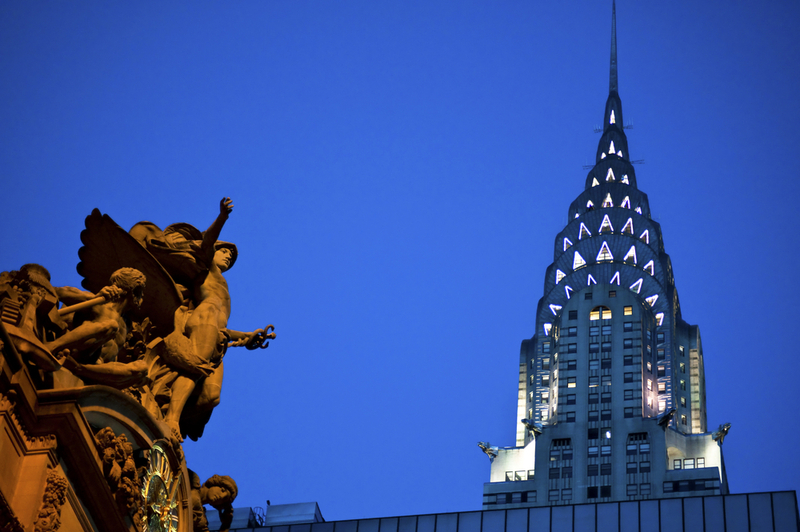 With one of the most iconic facades of the Manhattan skyline, the Chrysler Building is a defining icon of the Art Deco era in New York City. Built during the height of the city’s skyscraper boom in 1930, it reigned as the tallest skyscraper in the world for a mere 11 months, before being surpassed by the Empire State Building. Fun fact: Walter P. Chrysler paid for the building out of pocket, so his children could inherit it and not the company. The clear favorite in terms of Art Deco skyscrapers, The New Yorker hotel was one of the most, if not the most technologically advanced buildings of its day. Designed by Sugarman and Berger Architects, The New Yorker was powered by its own private electricity plant, entertained with it’s own indoor ice rink, and even broadcast nightly from its on-site radio studio - not to mention it had one of the most ornately designed interiors of the Art Deco era. To learn more, visit the hotel’s on-site museum. 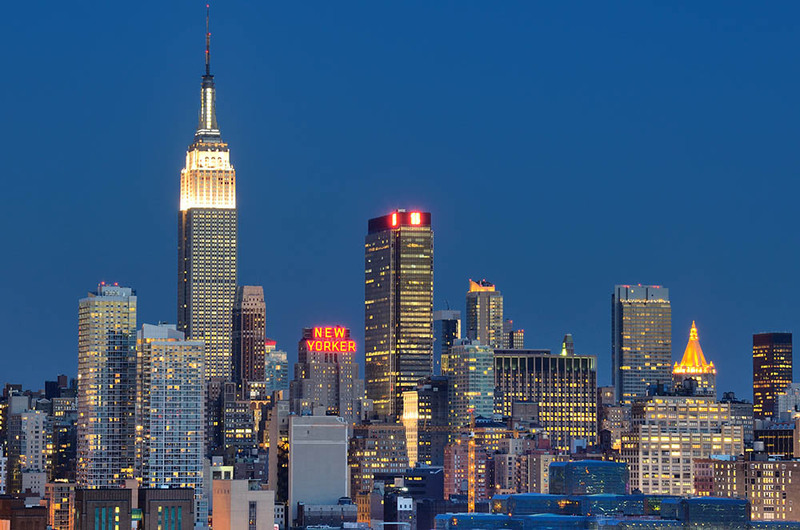 Synonymous with New York City, the Empire State Building is a cultural icon known all over the world for its stand-out design. 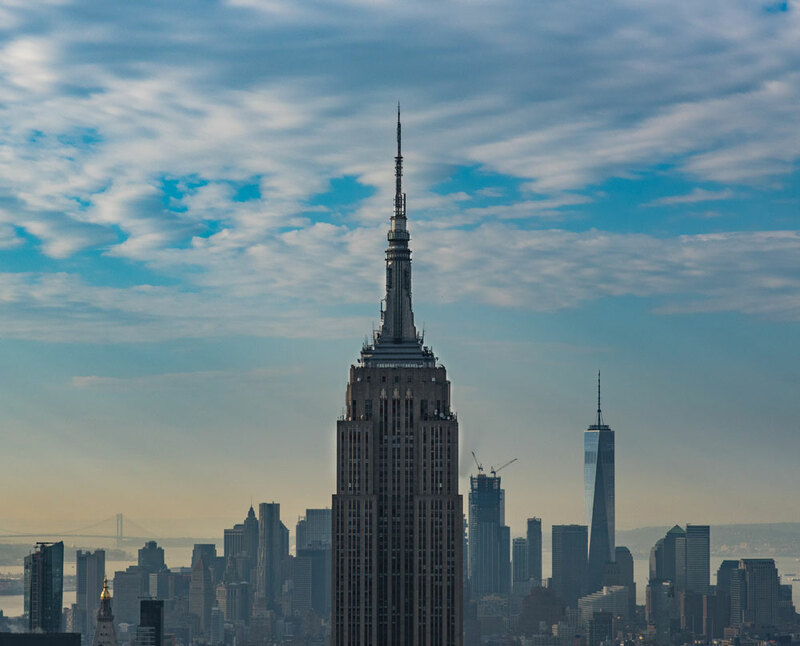 Completed in 1931, the Empire State Building served as the tallest building in the world for almost 40 years, and was named one of the Seven Wonders of the Modern World by the American Society of Civil Engineers. See it up close and personal with our Empire Package. Not one building, but nineteen, Rockefeller Center is an Art Deco complex in the heart of Midtown Manhattan. 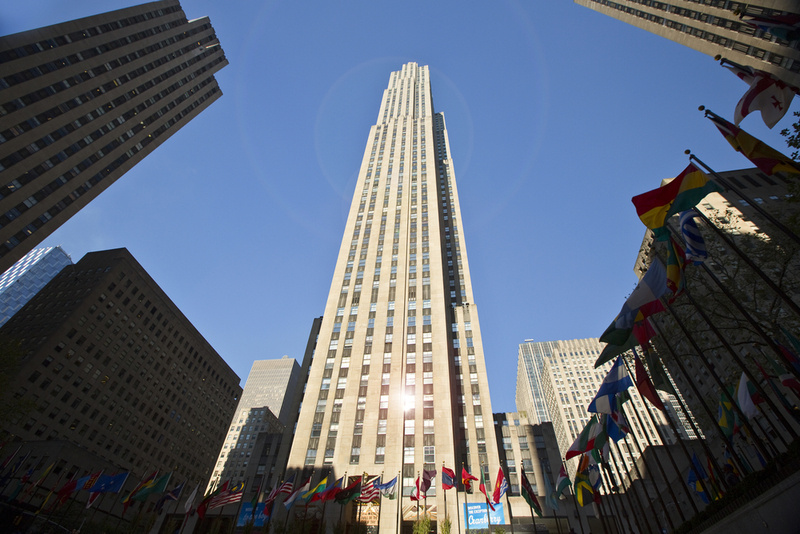 Initiated by John D. Rockefeller, Jr., Rockefeller Center is home to the well-known 30 Rockefeller Plaza, aka 30 Rock, as well as Radio City Music Hall, the popular auditorium. Make sure to give yourself enough time to look at the art inside 30 Rock. It’s a true Art Deco gem. Although not near as famous as the Chrysler or Empire State Buildings, the General Electric Building is not one to be overlooked. Also known as 570 Lexington, this New York City landmark is covered in intricate details representing the energy giant. 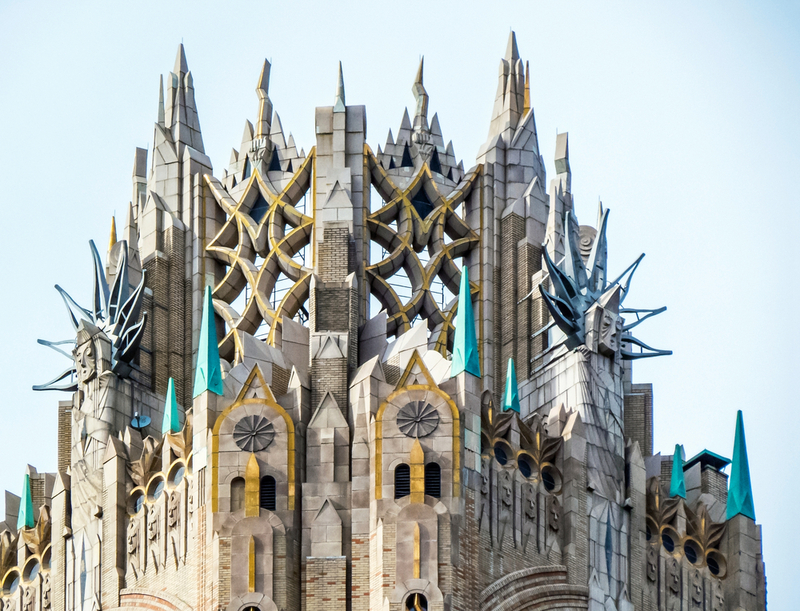 With lightning bolts, radio waves, and Art Deco faces adorning its facade, this might be one of the most original buildings of the era.